Like every entrepreneurial mom, I find it difficult to balance both life and work, and life is often motherhood. To balance motherhood and work you do need to get your priorities right. I have always been a driven person. Most of my adult life I have worked for myself running a busy dance studio. I became fascinated with the internet a couple of years after the birth of my daughter, and blogging then became quite addictive. The problem is that running a full time business, an internet marketing business and still getting time for a family life proved to be extremely difficult. I found myself getting increasingly frustrated when I couldn’t get my blog post or article written for the day. I began sitting up late into the night working on my blog, or working in the early hours of the morning when there were no interruptions. It is not easy to juggle business and motherhood. I do not claim to be an expert. It is like constantly trying to find a balance and still getting to spend quality time with your family. The above approach did work for a while, but eventually you become so exhausted you just can’t function properly. I was tired when teaching my dance classes, to tired to stay up late after my daughter had gone to bed, and had no energy to keep up with her playfulness. I then dawned on me that I would have to put my website building on a back burner, and just do what I could when I could, but not stress if I didn’t work on my websites every day. After all, you only have your children with you for a few short years, and then they move off to start on their own lives. Now I have cut my teaching hours so I can spend more time with her. After all it is my own business, so I should be able to work my own hours. I also got in help in the form of student teachers which also took a huge load off. As far as my part time internet business goes, I take it as it comes, make goals, but make them doable with the time that I do have. For instance I only budget time for two blog posts a week, but if I get time to do more – bonus. This way I don’t get frustrated with myself and set unrealistic goals. 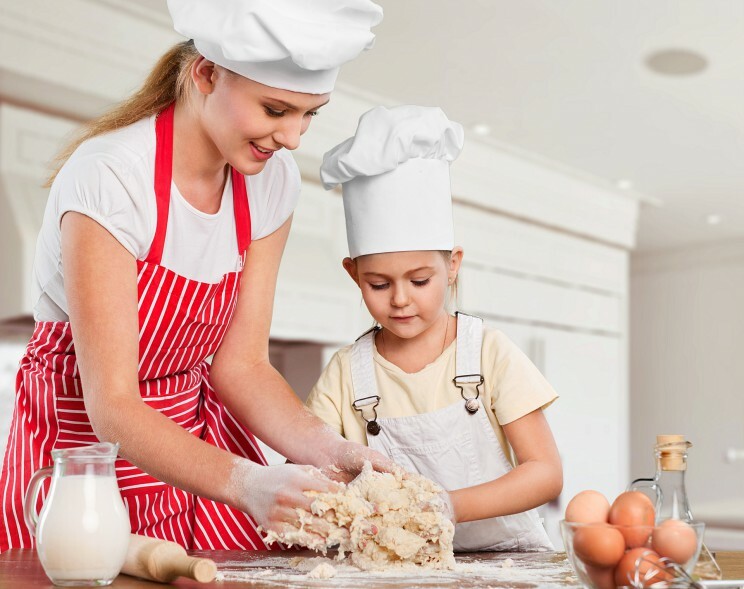 Thankfully having your own business allows you much more time to spend with your family, and you are able to schedule your life around your children’s important activities, and also on occasion work with your children helping you. I recently sat at breakfast with my daughter and asked her when she has been happiest with my work schedule. She too was happiest when I was able to take her to school and pick her up myself and attend all her important activities. The best thing about working online is that you can get paid at 2 am in the morning, and not be working. You can eventually get to a stage where you are earning a good income on auto pilot. All it takes is time and patience, and just remember that Rome wasn’t built in a day. I love to help others, and as I continue my personal journey towards a more balanced life, I want to collect the experiences of other entrepreneurial moms. Feel free to leave your comments below. It is my goal to share your stories so that we can all help each other to master the fine art of balancing motherhood and work.